Mary Alice started at Spectrum Services in 1996 as a substitute, while she was finishing up her masters in Special Education, and completing her student teaching. For a period, Mary Alice taught a self-contained classroom in a local school district, and at an integrated preschool classroom in New Hampshire. Mary Alice’s path eventually returned her to Spectrum Services in 1998, where she taught school-age and preschool classes; within two years she was supervising a number classes. By 2003, due to her talent and ability, she was asked to become the Educational Department Head. Assisting in the day-to-day operations and management of the educational aspects of the school, Mary Alice works closely with our Program Coordinator to ensure our school runs smoothly, remains safe, and provides an excellent learning environment for our students with Autism Spectrum Disorders. 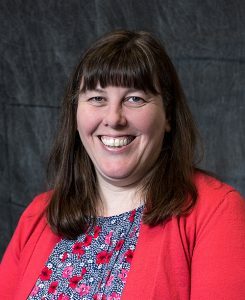 Having earned her MS in Special Education at the College at St. Rose, Mary Alice is also the recipient of the prestigious Outstanding Special Education Teacher Award from the National Association of Special Education Teachers. Mary Alice takes pride in working with such compassionate and dedicated colleagues, who all believe that every child can learn, and who celebrate each student’s successes. She is motivated by being part of a staff that teaches children skills that are going to have a positive impact on their lives, and those of their families.